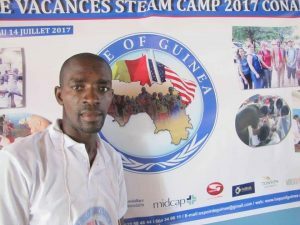 We are deeply saddened by the death of one of our team members in Guinea, Abdoulaye Conte. May you rest in peace, Abdoulaye. We will miss you very much. You fought for your country and especially for the Guinean youth. We are proud and honored to have known you and we thank God for the chance to have worked with you.